It's a famous quote, attributed to Alfred Hitchcock: "Film your murders like love scenes, and your love scenes like murders." 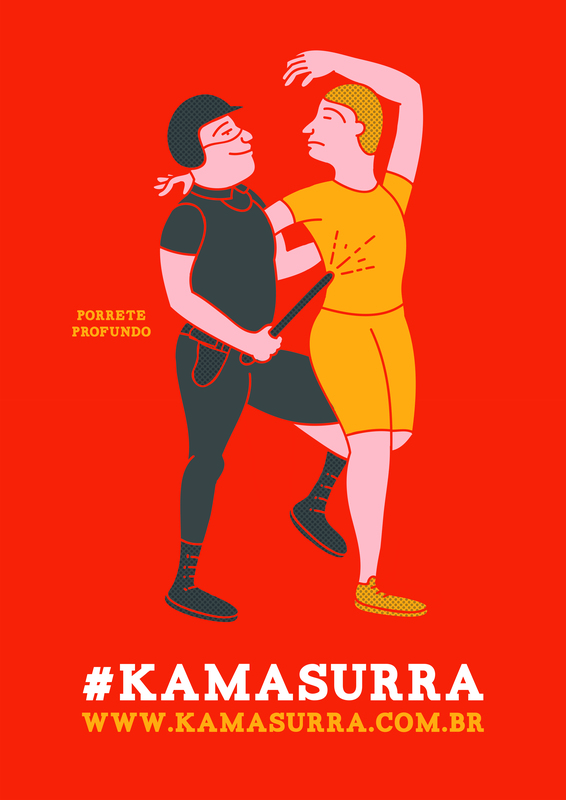 Apply that logic to poster art, and you've got the concept behind #Kamasurra, a Brazilian graphic design series that depicts police brutality in the style of erotica. The project comes at a time of heightened publicity for Brazil, as the World Cup continues to unfold. Since 2013, a record number of protesters in the South American country have demonstrated against their government, angry about the billions spent on the tournament, in light of the country's shoddy schools, hospitals and public transport. In response, the police have often used force, from rubber pellets to tear gas. The latter was turned against hundreds of protestors as recently as last month. 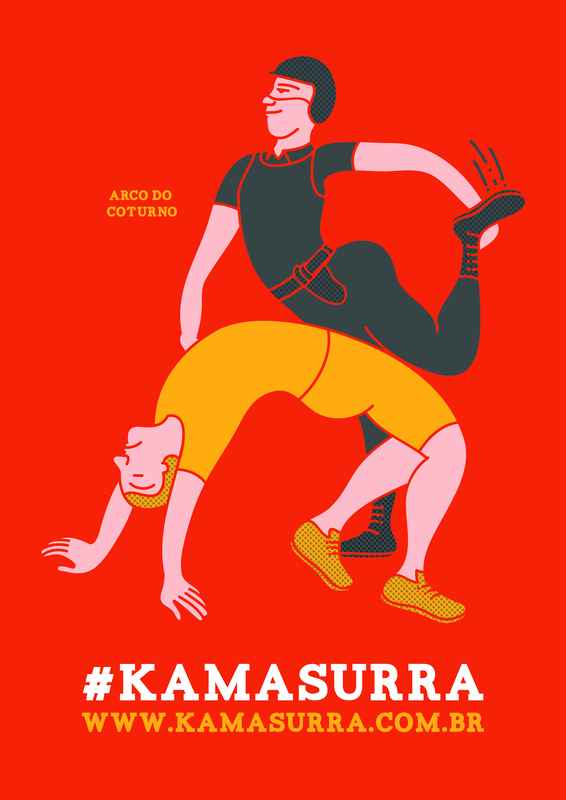 In an email to The Huffington Post, the creators of #Kamasurra -- Gabriel Morais, Renato Botelho and Bruno Pereira -- explained that the designs are intentionally disorienting. 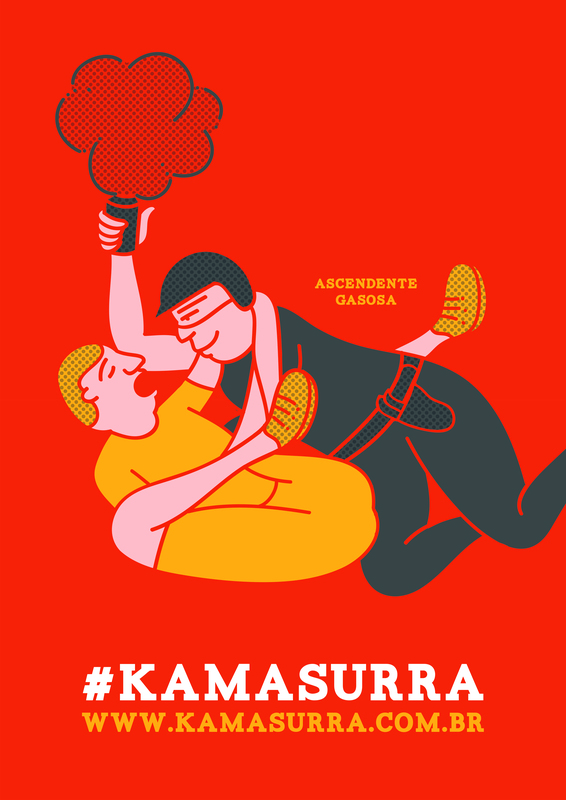 They were inspired by the "original positions" described in the Kama Sutra, the ancient Sanskrit text that gives practical advice on sexual matters. Only, "instead of portraying couples making love," reads the email, "we see policemen spreading hate, while abusing protesters." 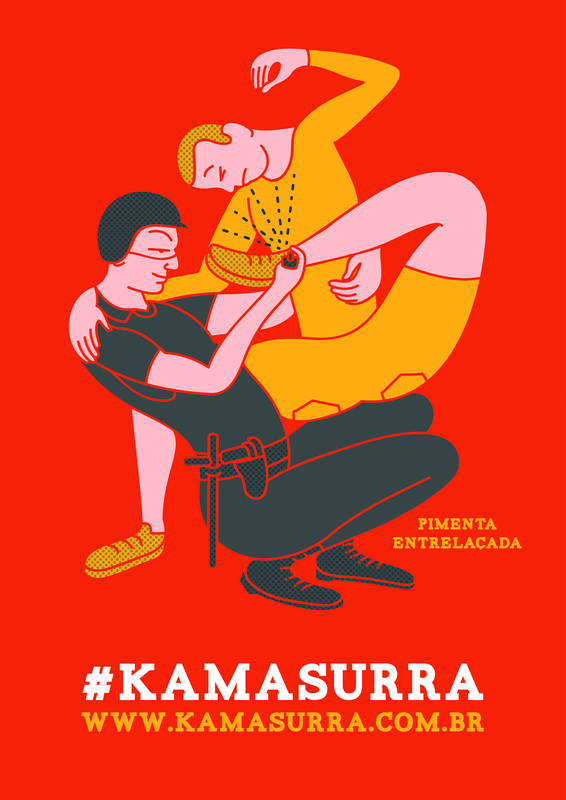 Supporters of the campaign are encouraged to download, print and paste the posters throughout Brazil. The eye-catching designs underscore a serious purpose -- "to raise awareness on a serious social issue in Brazil: the violent and illegal [behavior] police officers have been showing against innocent people during peaceful street protests." There's certainly a hard-to-look-away quality in the interplay of intimacy and brutality on display, a trick used by pulp masters like Quentin Tarantino, or for that matter, Hitchcock. Here's hoping Brazilians feel the same. Scroll down for more in the series, and let us know what you think.